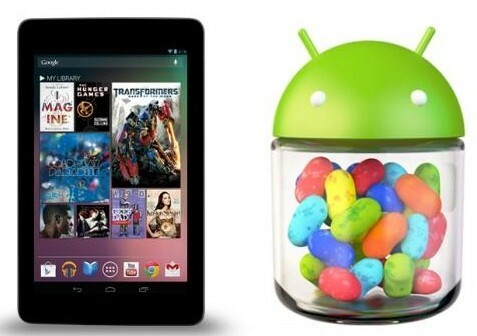 On June 28, 2012, Google released its Android 4.1 Jelly Bean and also its Android Tablet computer Nexus 7 at the Google I/O. As a competitor, Nexus 7 is more advanced than Kindle Fire with its system android 4.1, the camera and more. The price $199 is rally reasonable with the hardware and the latest android system. A Nexus 7 for your children as a Christmas’s gift? That really wonderful! The largest storage for Nexus 7 is 16G, so for users who watching videos, play music on Nexus often my feel that the space is storage is too small to store their files. 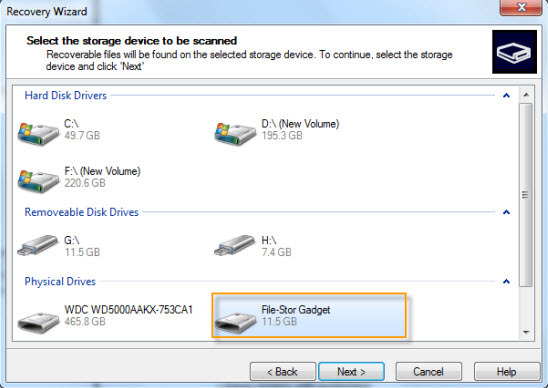 The Nexus 7 is easy to get to full so you need to delete files usually for the new files. If you delete your files in Nexus 7 by mistake, how to recover it? Nexus 7 can be connected to computer with digital cable as an external hard disk, so you can transfer your files from computer to Nexus 7. Meanwhile, if you lost your important files from Nexus 7 tablet, you can recover them just like recover lost files from external hard disk with data recovery tool. Follow the data recovery guide to recover your deleted files from Nexus 7. If you run a Windows PC, download data recovery for Windows, and if you are running a Mac Machine, Download Data Recovery for Mac. Connect your Nexus Tablet to your computer until you can find the external disk in “My Computer”. If you cannot see the drive letter in “My Computer”, refresh it you may find your drive letter here. Start the Data Recovery program, and choose your Nexus 7 as the storage device for scanning. Choose the file formats you deleted from your Nexus 7 Tablet, and click the button “Start Scan”. Preview files you have deleted from your Nexus 7. Select the files you need to recover, and then click the “Recover” button to recover them. OK, now, you have successfully recovered your deleted or formatted files from you Nexus 7. What’s important is, if you find that you deleted something wrongly, just stop writing new files in the place where you deleted the files, it will increase the success rate of recover files. Once you get a Nexus 7, you know there are some apps are root-only, you need to root your tablet for install the root-only apps. You can follow this guide to install clockwordmod recovery on your Nexus 7 Tablet. If your nexus 7 tablet cannot be detected by computer, turn to Data Recovery for Android!